First week of the New Year. Although I haven't posted much in the way of meals over the holiday season, we are still eating well. 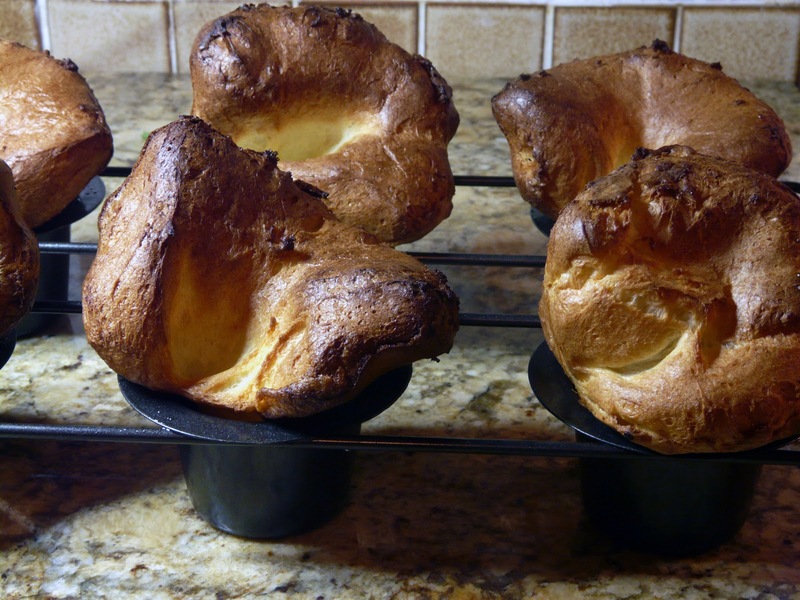 Our son, Matt , has been here visiting and I've been cooking some of his favourite meals. 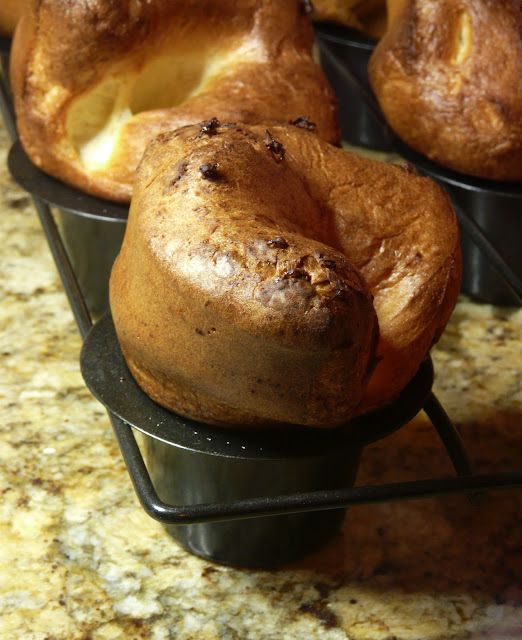 I am so going to try your puddings..I made 2 sets of popovers this holiday season that never popped..These are glorious..Lucky men. Wonderful Yorkshire puddings, mine never get that puffy. I just wanted to pop in and say "hi" and to tell you how much I appreciate your wonderful, do-able recipes and ingredients. They are so user friendly, I just wish I was close to seafood. I am land locked in Nebraska, only beef running around. I can order some seafood through our Schwans driver. Thank you for all of the posts of 2011 and I look so forward to 2012 recipes and your perfect choice of meals. Your food looks so appetizing and, thankfully doable. I want dinner at your house Ann! ooo wow def looks AMAZING!! Yorkshire Puddings! I love them! 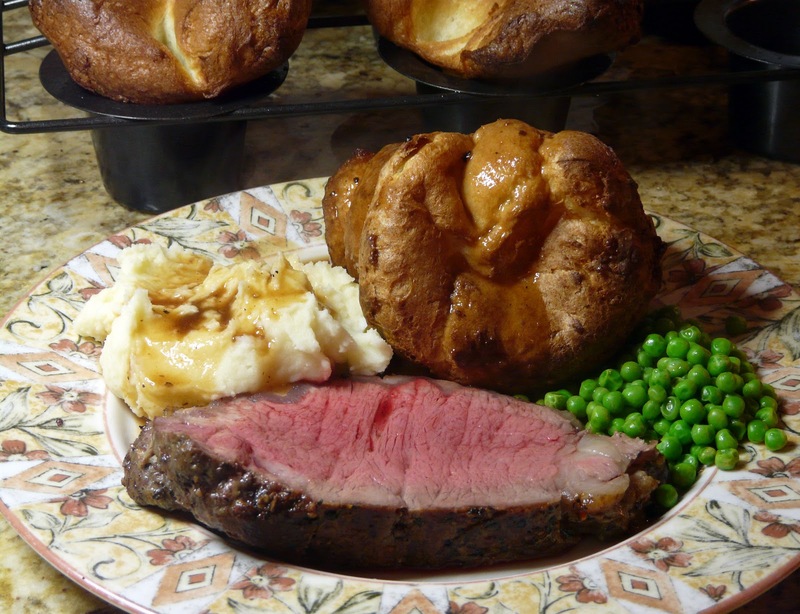 My family always waits eagerly for a batch with a yummy roast beef. Yours are glorious! Well done!Isn't it wonderful cooking for a son? 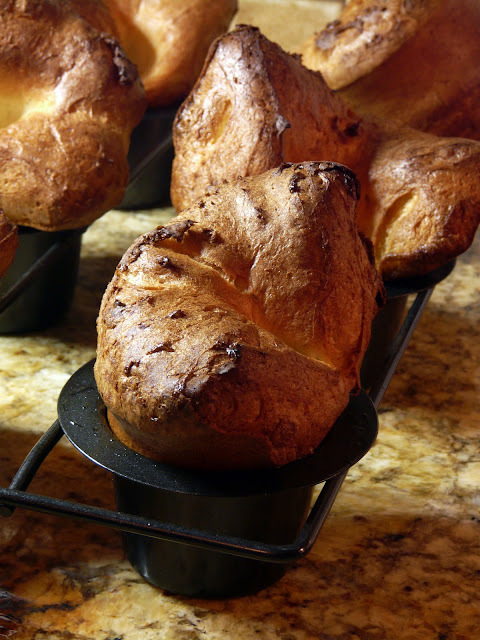 It looks like you found the secret to popovers that really pop. I'm sure your son enjoyed everything on the week's menu.